Round Abrasive Cords and Flat Tape make it possible to smooth and polish hard-to-reach places inaccessible to most conventional tools. Excellent for use on miniature wood, metal and plastic turnings while they're still in the lathe. Both cords and tapes are aluminum oxide and come in 'adhesive tape' containers, 16 yards per container. 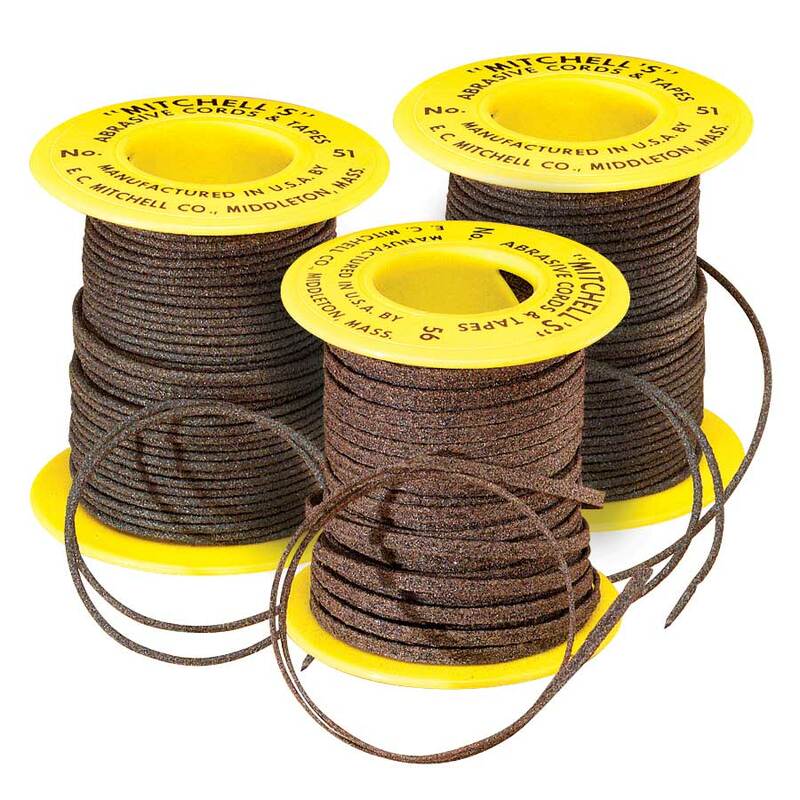 Set includes: #12108 .055 inch dia., 120 grit cord; #12109 .030 inch dia., 200 grit cord; #12110 3/32 inch wide, 180 grit tape.